Compatible with printers from SATO and other manufacturers. Label Rewinders. Compatible with printers from SATO and other manufacturers. 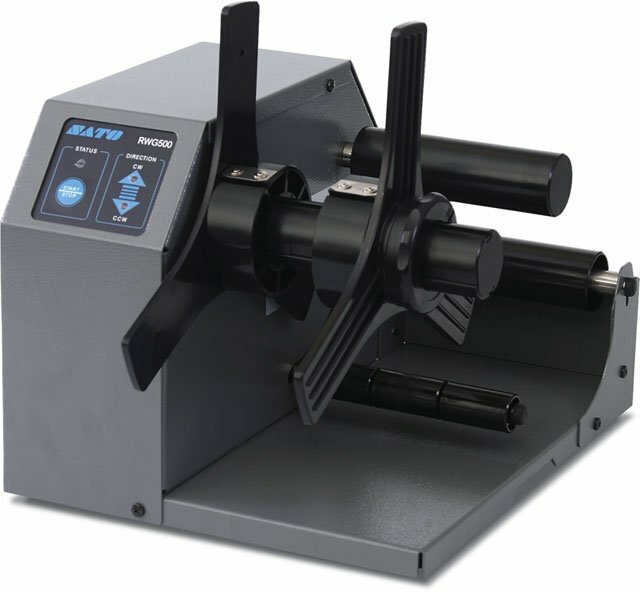 External Label Rewinder for SATO Printers (RWG500 NP). Label Rewinder, 10 inch Roll Capacity. If you are using this rewinder with a non-SATO printer, you must purchase an external power module (Part# 11S000120). Wide Web label rewinder - rewinds rolls up to 9" wide. If you are using this rewinder with a non-SATO printer, you must purchase an external power module (Part# 11S00161).